July 25, 2017 — Momentum is the best word to describe Grinnell College’s continued philanthropic growth in the recently closed fiscal year 2017 (July 1, 2016-June 30, 2017 or FY17). Total commitments in FY17 reached $32,827,711. This growth benefitted from an increase of more than $5.8 million, or 21.7%, in new gifts, new pledges, and new bequests over 2015-16 and firmly planted the year as the second best in history. In fiscal year 2017, the number of donors remained steady with 10,540 individuals including alumni, friends of the College, parents of current and former students, faculty, students, and staff making gifts. Of these, the College welcomed 1,095 first-time donors. The majority of donors (7,002) made Pioneer Fund (unrestricted) contributions. Collectively, this group generated total receipts— one-time gifts, payments on pledges, and realized bequests — of $13,091,687. Grinnell received more than 50 major gifts of $25,000 or more through donor commitments as well as an anonymous planned gift of $7.5 million that will eventually provide tremendous and direct support for faculty and students. 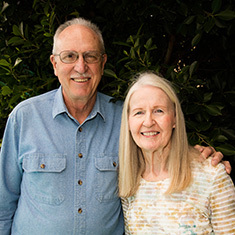 On April 6, Mike and Linda Bird Powers, both ’67, helped the College set a pace for one-day giving this fiscal year with a gift challenge of half a million dollars. The third annual Scarlet & Give Back Day saw gifts from 3,064 donors raising over $772,000 to support the teaching and learning of Grinnellians. Reunion 2017 was the second-largest alumni gathering in College history. Along with 161 class volunteers, the Office of Development and Alumni Relations welcomed 1,385 alumni and guests to campus. Guests came from 47 states, D.C., and 17 foreign countries. The 5-year Reunion class of 2012 set a new College record for best class participation at a Reunion with nearly 50% of their class in attendance. With the partnership of over 250 regional volunteers, the College hosted 80+ regional events, nearly double the regional alumni activity over the 2015-16 year. Alumni and friends were introduced to a renewed website with responsive design. For registered users, the site also provides access to pre-populated forms and personal giving history. 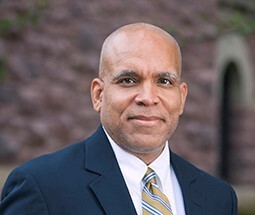 Grinnell Connect, an e-platform fostering career connections among alumni and students, was released at the same time. In total, more than 5,000 accounts have been created between the two sites. Grinnellians worldwide recorded 1,500 service hours as part of the 2017 Global Day of Service’s through 18 group projects in 24 states and seven countries. This event, our third, celebrates Founder's Day and the College’s strong commitment to social justice. 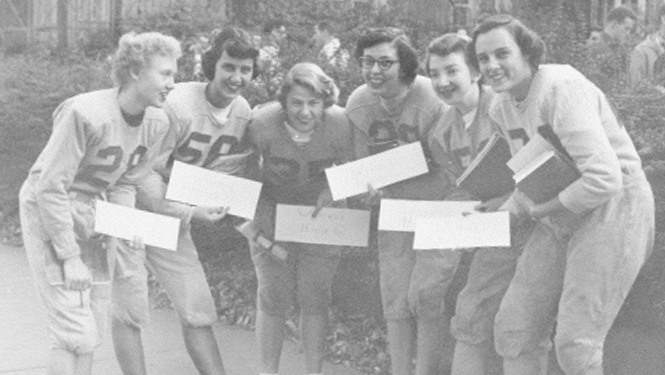 In April 2017, the College hosted Pioneer Women’s Weekend, a special event celebrating and honoring the College's Pioneer women, whose efforts to compete — at the club level or through intramurals — paved the way for generations of proud Pioneer women student-athletes. This weekend capped off a year of strong affinity programming on campus ranging from our popular Fall Athletic Weekend to the Computer Science Reunion Weekend. Through each of these experiences, alumni helped share their life and professional experiences with students while reconnecting with former professors, coaches, and classmates. With alumni and donor support, through volunteerism and contributions, Grinnell continues to build momentum in its growth and evolution. For more information about giving to, or volunteering for, Grinnell College, please contact the Office of Development and Alumni Relations toll-free at 866-850-1846 or local at 641-269-1846 or send an email to alumni@grinnell.edu.